Get that bulky, view-obstructing, noisy AC unit out of your window for good! A ductless mini-split system offers a sleeker appearance, remarkable efficiency, and unparalleled comfort. In the market for a window air conditioner? Before you make any purchases, be sure to weigh all your options. Seen against the rich background of today’s cooling and heating technologies, window units are becoming increasingly outmoded. For all their enticing pros—low initial cost, portability, ease of installation—these appliances come with a host of off-putting cons. For one, even the most energy-efficient models are expensive to run over the course of the cooling season. Plus, because of their bulk and in-window position, portable air conditioners obstruct the view to the outdoors and block out the natural light that would otherwise stream into the home. When you also consider that window units are noisy and that they severely undermine home security, it’s easy to comprehend why so many people have gone looking for a better method of cooling one or more rooms. 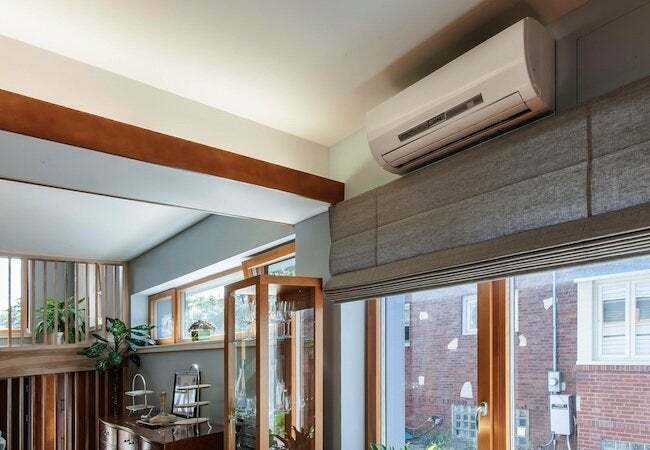 Countless budget-conscious, comfort-craving homeowners are discovering cost-effective, high-performance ductless cooling and heating systems from industry leader Mitsubishi Electric. By design, window air conditioners are temporary solutions. Mitsubishi Electric ductless systems, on the other hand, are permanent installations handled by qualified contractors. That’s not to say the technology takes up a lot of space or requires extensive remodeling work. On the contrary, ductless systems are streamlined and compact, consisting of two discrete components—an outdoor condenser and an indoor unit. Connecting the two is a pair of refrigerant pipes that run through a three-inch-diameter hole in an exterior wall. A three-inch hole: That’s the extent of the changes necessary to accommodate the system. Because it’s so nonintrusive, the installation process usually takes less than a day. And once it’s up and running, a Mitsubishi Electric ductless system lasts much longer than the average, expendable window AC. Having already earned widespread popularity in Europe and Asia, ductless cooling and heating may represent the future of climate control in this country too. Continue reading to learn more about why more and more American homeowners are choosing to go ductless. True, a ductless system costs more up front than a window unit. Over the long term, however, Mitsubishi Electric pays you back with the system’s remarkable energy efficiency. Compared with the average window unit, a Mitsubishi Electric system consumes 40 percent less energy, allowing you to enjoy lower monthly utility bills during the cooling season. Those savings wouldn’t mean much if you were uncomfortable, though. So, what truly sets apart Mitsubishi Electric is that, even though the operation costs are relatively low, the system still provides unparalleled comfort. Thanks to a variable-speed compressor—and accurate monitoring of conditions in the room—the system continuously adjusts its output to match the demand. That way, the technology steadily maintains your target temperature. The average window AC either keeps running until the room gets too cold, or it cycles on and off, creating unpleasant, sometimes extreme temperature variations. That’s not the case with Mitsubishi Electric. Here, the temperature you set is the temperature you get. Whereas there’s only one way to install a window air conditioner, the twin components of a ductless system can be configured in any number of ways, leaving you free to seek the most inconspicuous solution. 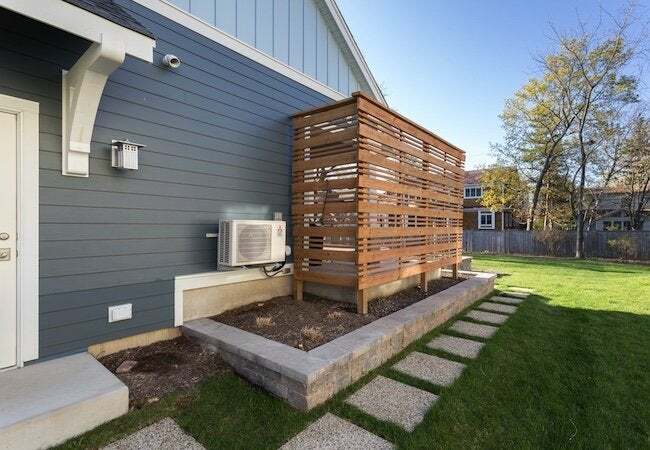 For starters, within a set radius that depends on your chosen system, the outdoor unit can be placed on the portion of your property where it’s least likely to draw attention. You may also conceal its presence with strategic landscaping or even a curtaining structure, such as a trellis. Meanwhile, sleek, low-profile indoor units can mount either high on the wall, near the floor or within the ceiling, wherever you think it would look the best. No matter what you decide, the windows in the room would remain completely unobstructed. 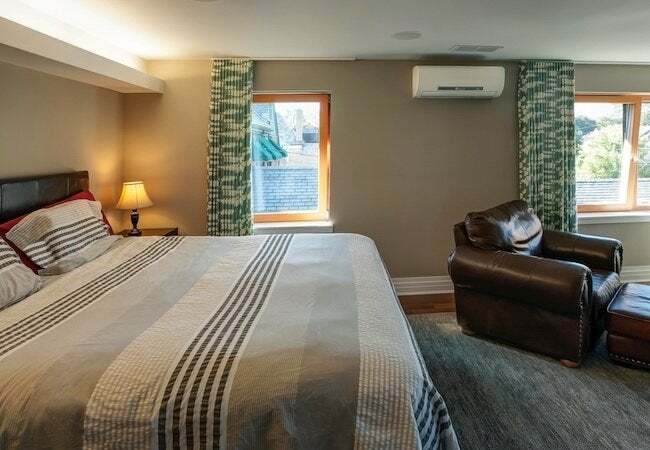 That’s right: You no longer have to sacrifice daylight and your view to the outdoors, as you would with a window unit, for the full duration of the summer. Another factor to consider is noise. Even the quietest window air conditioners tend to make a racket. Not only in comparison, but objectively speaking, Mitsubishi Electric ductless systems are ultra-quiet. When running, indoor units reach volumes as low as 19 decibels—quieter than a whisper! Though many homeowners rely on Mitsubishi Electric for cooling one or a couple of rooms, others employ the technology for whole-home climate control. In such a setup, multiple indoor units work in concert to maintain a comfortable temperature across the full square footage. For the time being, you may be interested only in, say, cooling down the bedroom. But if in the future you decided to extend your ductless system beyond the bedroom, you wouldn’t need to scrap what you’ve got and start over from scratch. Being that some outdoor units are capable of accommodating multiple indoor units, you would need to add only the latter into any room or rooms you wanted to make more comfortable. You might even look at your initial, single-room-focused ductless system as a first step toward piecing together a comprehensive solution for all the space under your roof. One final aspect of Mitsubishi Electric technology proves its all-around versatility. These ductless systems provide, not only cooling, but heating as well. In cooling mode, the indoor and outdoor unit work to draw heat from inside the home and deposit it safely outside. The flip of a switch reverses the action, causing the system to collect heat from outside and bring it indoors. In effect, the same ductless system you count on for effective and efficient summertime cooling can also provide comfort-giving heat in the winter. Try saying that about a window AC!